Events in Devon in August - month of holidays, days out, short breaks, - oh what a lovely month!!!! Dreams were made of this!!! Torbay Steam Carnival 2nd, 3rd and 4th August 2019 Dartmouth Road, Churston Ferrers, Brixham. Sidmouth Folk Week 2nd to 9th August 2019. This one needs a week's short break by the seaside in this attractive town. A celebration of music, dance and song. Music, music everywhere. Clovelly Lifeboat Weekend will be held in the Harbour on 3rd and 4th August 2019. In aid of the RNLI who do such sterling work and many a person has been thankful for it. Plenty of interest going on during the day and well worth the day out. Newton Abbot Racecourse Not yet available at time of writing. 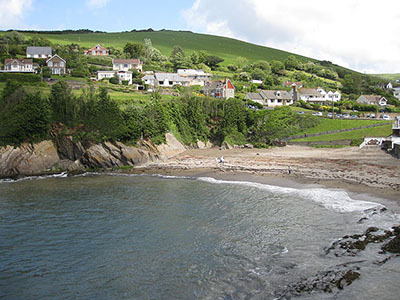 Combe Martin Carnival TBC Combe Martin is a pretty spot on the North Devon coast, see below. The British Firework Championships TBC August 2019. Plymouth Hoe makes a good place to watch. Six Fireworks companies will battle it out for the coveted trophy. Magnificent displays by the best in Britain. Dawlish Carnival 10th to 16th August 2019. One of Devon's largest Carnivals right in the middle of the holiday season. A carnival, blue flag beaches - what a holiday! Beautiful Days Festival 16th to 18th August 2019. Escot Park, Devon. Won the Grass Roots Festival Award. Tickets are already on sale. Exmouth Exodus 17th and 18th August 2019. Put this one in your diary, well worth it. Check it out. Ilfracombe Carnival 25th August 2019. Attractive event in this popular town. Exmouth, the mouth of the lovely River Exe. Two miles of golden sandy beach. Water sports. Bird watching - check out those cruises above! If you are a cyclist why not try the Exe Estuary Trail. Sidmouth, one of the gateways to the Jurassic Coast. Have a look at those bay cruises above. Sidmouth is a charming Regency town and is part of the East Devon Area of Outstanding Natural Beauty. Visit the Donkey Sanctuary. 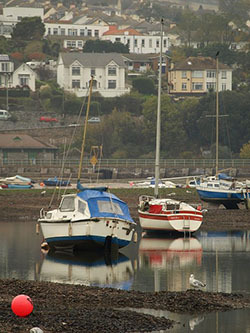 Shaldon on the banks of the River Teign in South Devon. Lovely sandy beaches for a family seaside holiday. 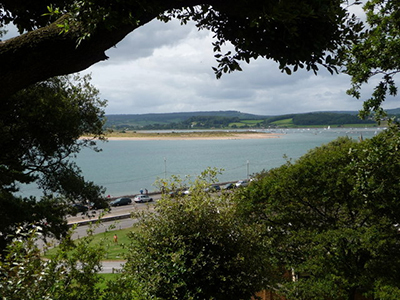 Visit Shaldon Zoo home of the Shaldon Wildlife Trust. Clovelly, a village with lots of events situated in North Devon on the Bristol Channel. Steep cobbled streets with lots of listed buildings. Oh! but it is so beautiful. Watch the sledges - the High Street is so steep that is the only way goods can be delivered!! No cars!!! There is a Land Rover Ferry Service for people up and down via a back street! Combe Martin a village in North Devon not far from Ilfracombe. A cosy, sheltered cove with the cliffs of North Devon towering above. A very safe beach. Spectacular place actually. Has the Guinness World Record for the longest street party! Plymouth Hoe famous for that ancient game of bowls played by Sir Francis Drake while the Spanish Armada was sailing down the English Channel. That lighthouse is Smeaton's Tower. Great views. Plymouth is a cosmopolitan city well worth a visit especially if you are a genealogist, plaques for the various fleets that left for Australia, New Zealand and America can be found. Dawlish, sand and sea. A great place for family seaside holidays. Unusual for England the town has black swans, more likely found in Western Australia. Totnes a delightful ancient market town in South Devon. The town rises above the River Dart. Totnes Castle is owned by English Heritage. It is the second oldest borough in England. The Orange Rolling event is held in the steep High Street. Great fun. Ilfracombe is a seaside resort, a gem. Part of the North Devon Area of Outstanding Natural Beauty. Stunning cliffs. Hillsborough is a haven for wild life.